Did the Italian government keep Alitalia aloft illegally? EU anti-trust regulators on Monday opened an in-depth probe to establish whether a massive rescue loan by the Italian government to troubled airline Alitalia constituted illegal state aid. The salvo from Brussels targets a 900 million euro ($1.1 billion) bridge loan by Rome to keep Alitalia afloat after staff in 2017 rejected a last-ditch cost-cutting plan to save the company. "The Commission has a duty to make sure that loans given to companies by member states are in line with the EU rules on state aid," said EU Competition Commissioner Margrethe Vestager. "We will investigate whether this is the case for Alitalia," she said. Under EU state aid rules, public interventions to troubled companies must be made under terms equivalent to market conditions. The EU said it had received "a number of complaints" in 2017 alleging that the loan to Alitalia did not meet the criteria and would dig deeper to establish an opinion. 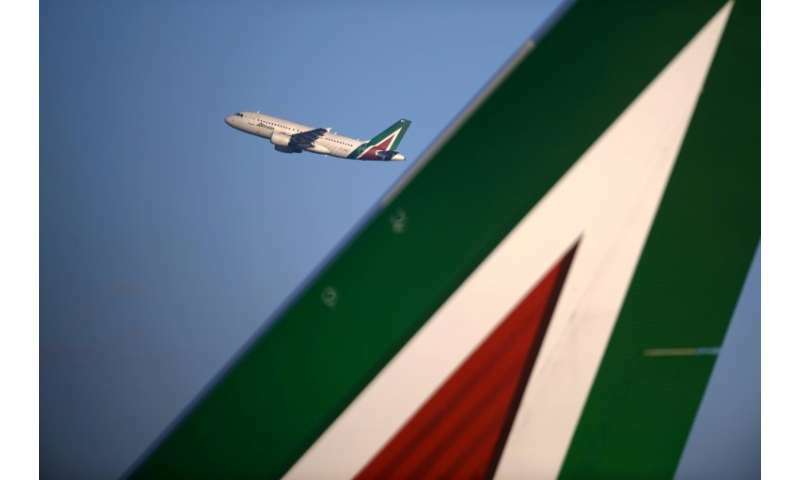 The probe comes just days after three rivals officially bid to take the reins of Alitalia, just the latest of former flagship carriers to be sold off to bigger groups in Europe. An Italian government minister said Germany's Lufthansa emerged as the number one candidate to take over Alitalia, which is now partly owned by UAE carrier Etihad Airways. Britain's budget airline EasyJet and Hungarian carrier Wizz Air are also reported to be in the bidding. The fate of Alitalia is complicated still further by March's inconclusive general election in Italy, from which no new government has yet been formed. The deadline for the sale of Alitalia was originally set for the end of this month, but the government will issue a decree in the coming weeks pushing back that deadline by around six months.